Nothing wrong with getting away from it all, but how will you find that great fishing hole or post photos of canyons and sunsets unless you bring at least a little tech with you? This gear will keep your gadgets singing 'round the campfire. Is your gear as tough as you are? Heading off to the great outdoors is all about leaving the trappings of the modern world behind—but maybe not all your tech. Emergency alerts on your phone, or a quick search to see if those tasty-looking berries you found are safe to eat, are just a couple of good reasons to have a smartphone handy. And then there’s the fun stuff, like listening to music while you fish, or sharing photos with friends who couldn’t make the trip. Keeping your gadgets humming while you commune with nature does take planning, though. Here’s some gear that’ll turn your next outdoor adventure into one you can track, share, and enjoy without necessarily breaking the bank. Our first stop addresses the trickiest part of using technology in the wild: wireless connectivity. While the Verizon Jetpack MiFi 5510L serves up LTE speeds throughout Verizon's robust network, that won't help if you're so far from civilization that you can't get a signal. But the hotspot will come in handy while you’re driving to and from your destination, or or you’re at a rest stop. We recommend picking up a hotspot only if you'll be using it regularly when you're back in civilization. If you'd rather not sign up for a contract, the hotspot will set you back $200. Plans start at $30 a month for 4GB of data. Unfortunately, pay-as-you-go hotspot pickings are slim. That said, this T-Mobile 4G Hotspot is a slightly cheaper choice than the Verizon Jetpack. You can drop as little as $15 for a 300MB weekly pass, which should be enough for making quick dips online when you get a clear signal. The same connectivity caveat with the Verizon Jetpack applies here: While T-Mobile has made great strides in metropolitan areas, your chances of getting a signal while out in the woods are slim to none. But the lower price tag and (relatively) inexpensive data pricing should make this hotspot a bit less risky to take along. So you’ve brought along a 4G or LTE hotspot and have miraculously managed to get a steady connection. What now? With the Wi-Fi-equipped, 16-megapixel Samsung WB850F, you can upload some photos from your trip directly to sites like Facebook and Flickr, sharing your adventure as it happens. The camera also boasts a robust set of GPS features (including a points-of-interest database) and will automatically append latitude and longitude coordinates and real-world location names (if available) to your photos. You can also back up photos directly to your mobile phone, which can be a handy precaution if you’ve opted not to tote a laptop. With your inbox emptied and your photos shared, it’s time to chill. Enter the Logitech UE Mobile Boombox, a portable speaker that’s sturdy, and capable of filling a room (or a campsite) with sound. Streaming music over Bluetooth isn’t going to serve up the best listening experience, but the Mobile Boombox’s overall sound quality isn’t bad. More importantly, its battery will last about ten hours before running dry and can charge via USB, making it compatible with most of the portable gadget chargers on the market. 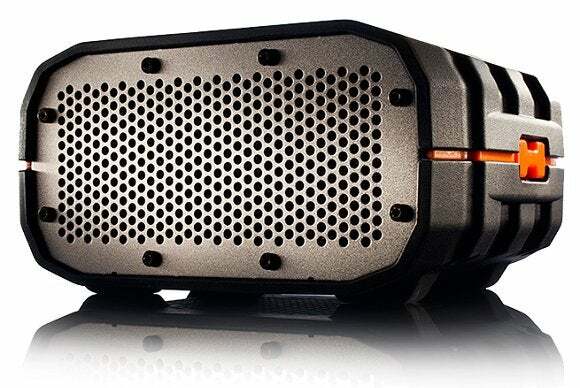 For an audio source that’s a little beefier, consider the Braven BRV-1. 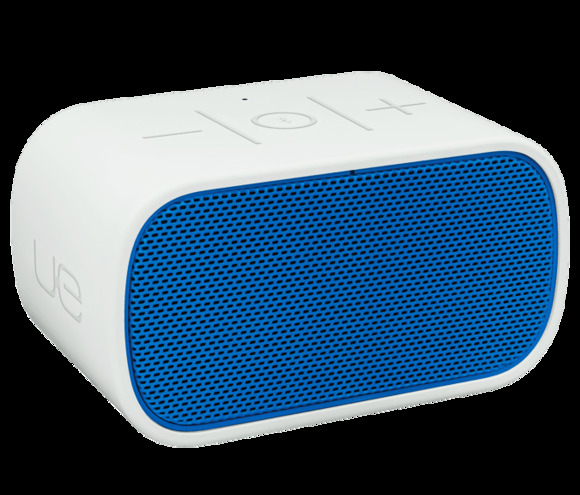 This portable speaker is designed to take a beating, and will shrug off rain and the occasional tumble. It’s also no slouch in the music department, delivering excellent audio that’s relatively loud without sacrificing much fidelity or clarity. The battery will reportedly last for about 12 hours, but the BRV-1 also doubles as a charging station, thanks to a USB port on the rear. Gadgets are power-hungry. The Satechi 10000 mAh Portable Energy Station will help you keep them charged. It’s simple, really: Just charge the battery pack when you’re near an outlet, and the 10,000-mAh battery will breathe new life into most modern portable devices. A slew of adapters are included for iOS devices and standard USB gear. The Sherpa 50 battery pack is a little less simple (and decidedly pricier) than the Satechi, but it's also much more capable, storing 50 watt-hours of power. It offers a USB port and a pair of 12V ports, one of which can be used to charge laptops that have 12V power supplies. If you’re feeling especially ambitious, you can pick up a $50 110V inverter (it attaches to the Sherpa’s side) and charge anything that uses an AC adapter—most every gadget under the sun, really. The Sherpa 50 will take about 3 to 4 hours to charge from a wall outlet or your car’s cigarette lighter, which can make it a handy backup power solution if you decide to bring a laptop along. If you’d like extra longevity, consider the $160 Nomad 13 Solar Panel, which will charge the Sherpa and power USB and 12V devices. A solar battery pack like the Joos Orange can help you keep your gadgets in working order—assuming it there’s enough sunlight, of course. It’s essentially a 5400-mAh battery with a solar panel strapped on, and it will charge a smartphone several times over before running dry—Joos claims you’ll get about two hours of talk time for every one hour of sunlight. The charger is durable, able to withstand falls, and it'll even continue to charge while submerged in water. Better still, you can charge the battery pack via USB, so it will always be ready when you need it. The Mercury 10 solar panel fits a tighter budget. It weighs just under a pound and can charge two USB devices at once—including tablets. It comes with a major caveat, though: It lacks an internal battery, so you’re out of luck after sundown, or on an especially cloudy day. That said, you can complement it with an inexpensive external battery and keep that topped off. Another alternative is the smaller InstaPark Mercury 4S ($60). It can charge only a single USB device at a time, but it packs an internal battery to eliminate some of the hassle. And now for something completely different: Start a fire inside the Biolite CampStove, and a thermoelectric generator will convert the heat into electricity. That electricity is technically used to power a fan in order to intensify the heat generated by burning sticks, wood pellets, or whatever biomass you stuff into the stove, but the extra electricity that’s generated is routed to a USB port that you can use to charge mobile devices. The Biolite isn’t exactly practical: The stove charges devices only when there’s enough heat being generated. And it's less than efficient, taking several hours to charge a phone—likely more time than you’ll spend cooking, to say nothing of the large amount of twigs you’ll need. Still, it’s part of a good cause: Biolite is using its technology in a larger version—the HomeStove—for use in developing countries. Want a bit more science fiction on your outdoor excursion? 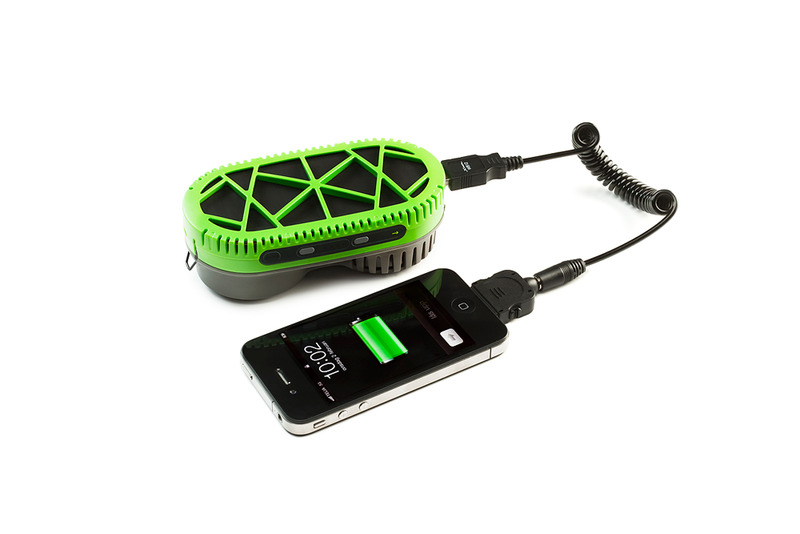 Check out the myFC PowerTrekk, a portable fuel cell charger that uses water and hydrogen to generate power. Just insert a “power puck” (sold separately) into the device, pour in about a tablespoon of water, and—boom—instant energy. The PowerTrekk will charge USB devices, but it also has an internal battery you can charge ahead of time. 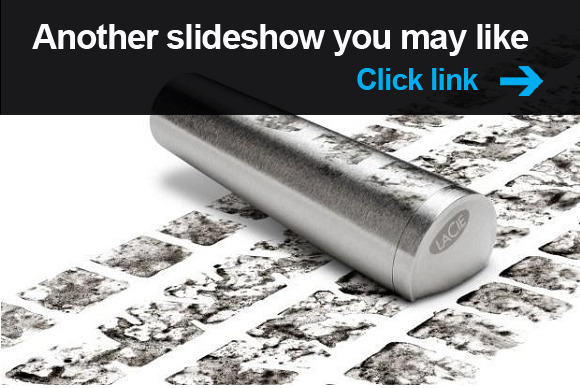 Caveats abound: It’s a chemical process, so you can’t simply stop it from charging. And as one of the first hydrogen fuel cells available to consumers, this cutting-edge gadget will cost you a pretty penny. You're no desk jockey. You're out and about, and you need your tech to follow you wherever the road takes you. Check out some ruggedized tech that could possibly outlast you.